Last week was full of “Royal Talk” due to the wedding of Prince Harry and Meghan Markle. News channels, tabloids and social media were full of “Royal Talk.” Like so many others around the world, I watched the Queen of England make her entrance clad in her lime green outfit and take her place for the ceremony. My family has a queen too. 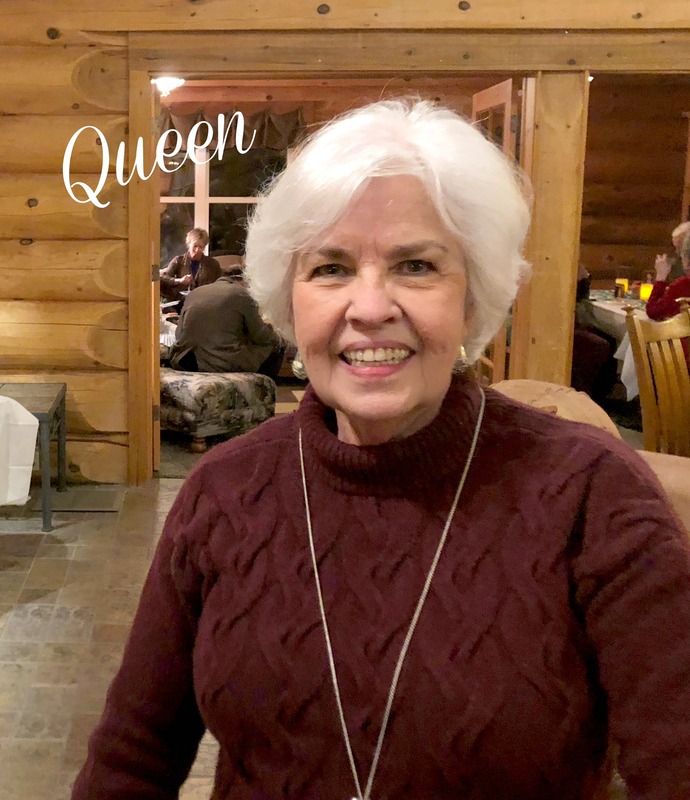 I’ve always thought of her as “mom” but when my youngest daughter started using the hashtag “Queen” whenever she posted pictures of my mom, I realized how fitting it is. My mom is the Queen of hospitality, prayer, gentleness, faith, service and love. Throughout the years, my mom has led our family well. Yes, she submitted to my dad as the head of our home, so don’t tune me out. But she led us to trust the Lord in ALL things and to seek Him in ALL things. When I was in middle school and came home complaining about the mean girls who left me out, she never joined me in my emotional mess. Instead of saying things like, “I can’t believe they did that,” or “well, they really are rude,” she would ALWAYS say, “Let’s pray about that and for them.” She always pointed me back to Jesus. And, to be honest, I didn’t always like it. I wanted her to get in the gripe-gutter with me. In high school, she opened our home to about fifty of my brother’s friends every week for years so they could hear how much Jesus loved them. Every Tuesday I would hurry home from school so I could help move our living room furniture around to accommodate the crowd and mom and I prepared incredible snacks for the kids. They may have come for the food, by they left with a dose of God’s love – and it looked a lot like a short, white-haired lady. Every day my mom spends time with Jesus. Every week, she fasts and prays. There was a time in my 30’s when my friends called me on Sunday nights to ask me to ask my mom to pray for their needs – because they knew she would fast on Mondays. And she did. When life threw her some serious curves that could have derailed others’ faith, she trusted the Lord. She really embodies all of the fruits of the spirit – love, joy, peace, patience, kindness, goodness, faithfulness, gentleness and self-control. Queens wear crowns, right? Right now, my mom is proud of her crown. It’s a crown she has worn for about fifty years. But it won’t matter how many or how big the crowns are that our family’s Queen receives because she will turn around and lay them at the feet of her Lord, Jesus. Yes, my family has a Queen of our own. We should all be so blessed. If you didn’t grow up with a Queen (or King) of everything, you can be that your family. Oh, and she won’t be thrilled about this post because she is the Queen of humility too! Shh! Don’t tell her. Share the post "Our Own Queen"
Shelly, this is so touching. What a tribute you have written. And, it is all true.